Kemendag - Kementerian Perdagangan Republik Indonesia or The Ministry of Trade of The Republic of Indonesia is a government ministry in Indonesia which oversees the trade affairs of Indonesia. 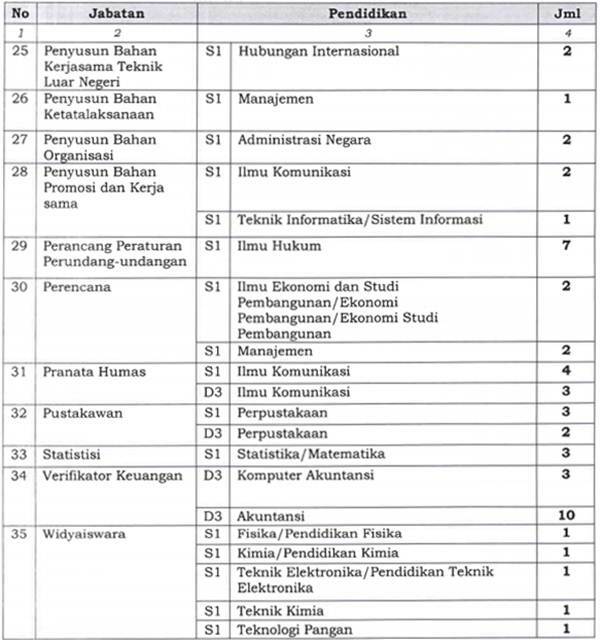 The Ministry was formerly known as Departemen Perdagangan (Depdag) or the Department of Trade. The Ministry is based in Jakarta and headquartered in Jl MI Ridwan Rais No 5, Central Jakarta 10110. 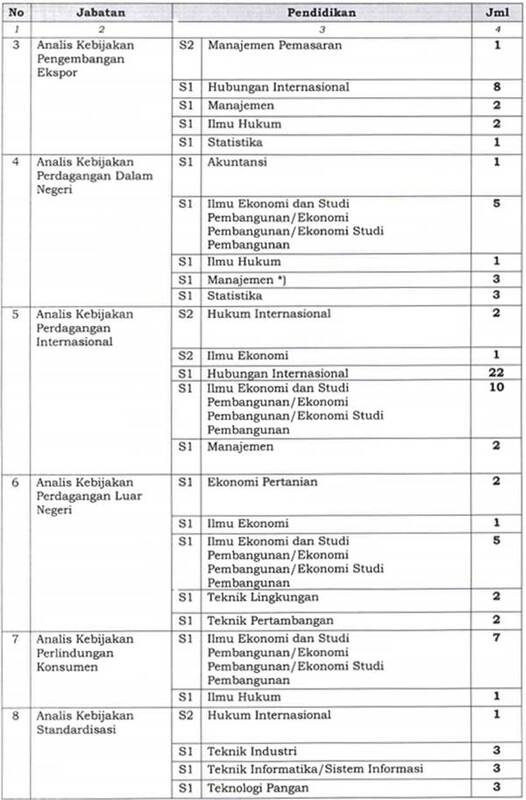 The Ministry of Trade of The Republic of Indonesia is headed by a Minister of Trade and since 19 October 2011 held by Gita Wirjawan. The Minister is assisted by 5 directorate generals and 2 agency, namely Directorate General of Domestic Trade, Directorate General of Standardization and Consumer Protection, Directorate General of Foreign Trade, Directorate General of International Trade Cooperation, Directorate General of National Export Development, Commodity of Futures Trading Regulatory Agency, Trade Policy Analysis and Development Agency. 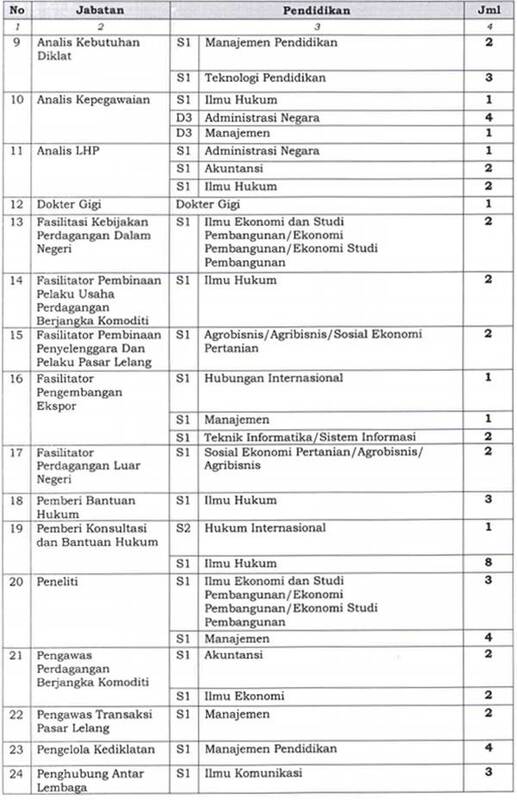 For further information about jobs requirements and how to apply in each positions above, please refer apply from Kementerian Perdagangan on following link below. 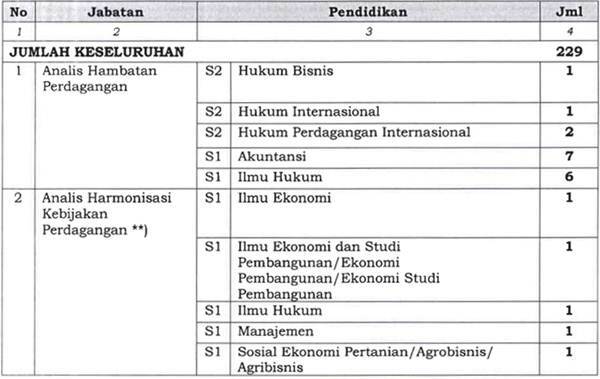 Registration by online through www.kemendag.go.id (14 - 18 September 2013). All applications are appreciated and will be treated confidentially.